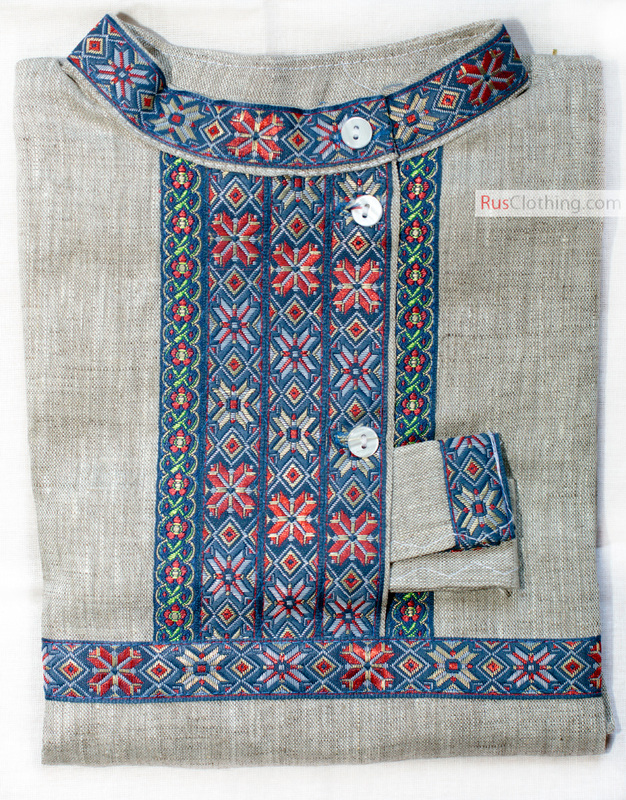 Such linen Russian kosovorotka for children is used for folk music festival and concerts, christening and other special occasion. 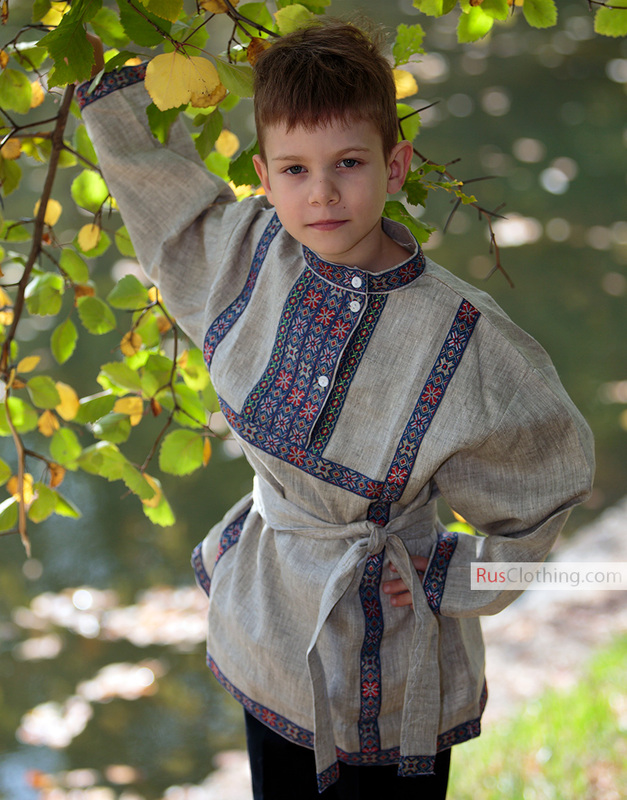 Kosovorotka is an old Russian shirt which was worn not only by adult men but also by children. 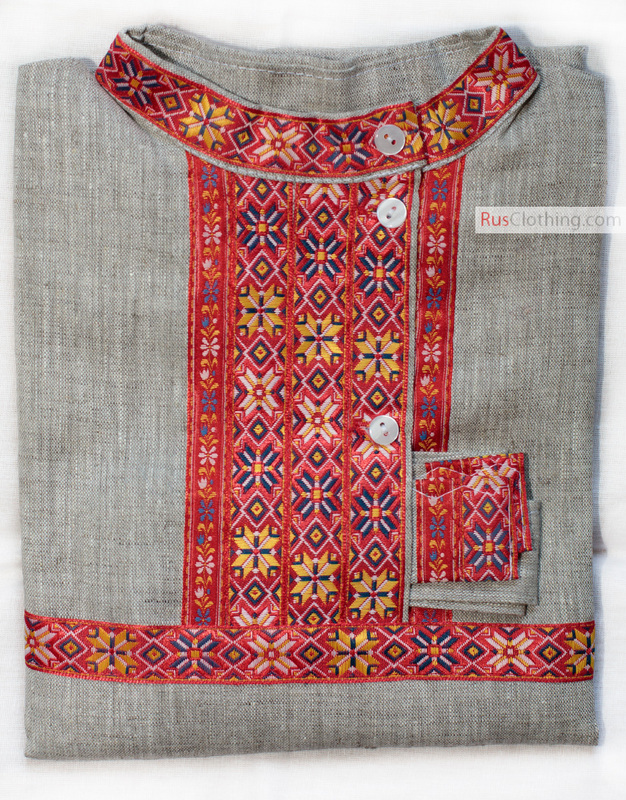 Women sewed shirts for their future kids in advance and took time for making beautiful embroidery. 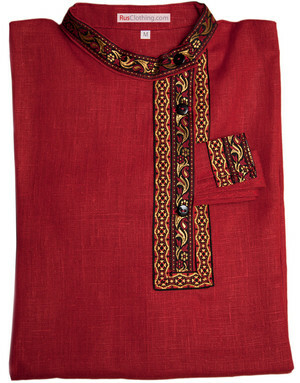 The decoration was always made on the sleeves and the front side at the collar and on the bottom. 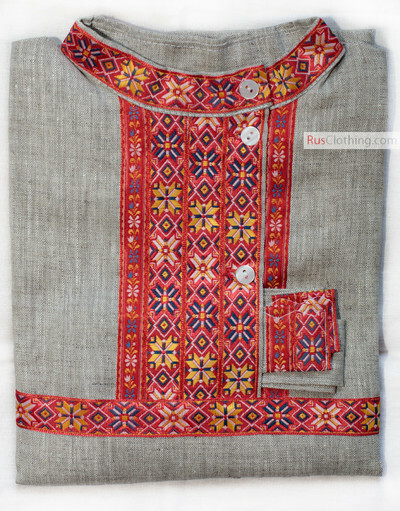 Wearing kosovorotka is not only a good reason to keep Russian traditions but also stand out thanks to a beautiful shirt with skillful design. 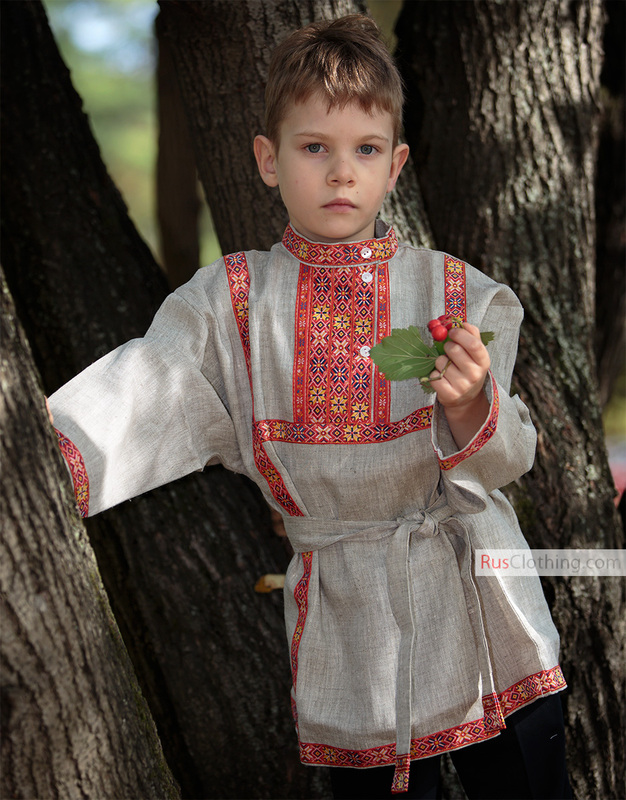 The kosovorotka shirts are designed for boys of 2 -10 years old. (kids age) 1 y.o. 2 y.o. 3 y.o. 4 y.o. 5 y.o. 6 y.o. 7 y.o. 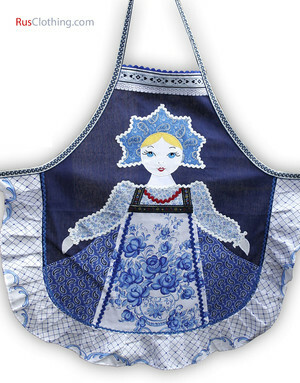 8 y.o. 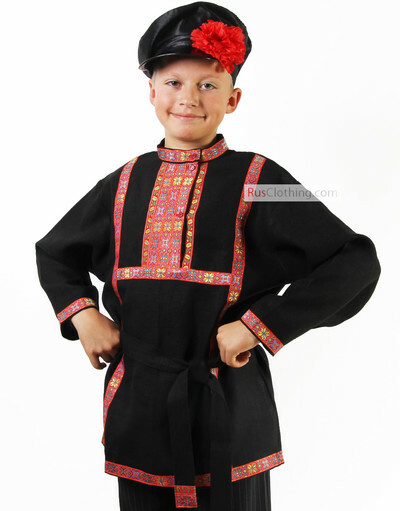 9 y.o. 10 y.o. 11 y.o. 12 y.o.